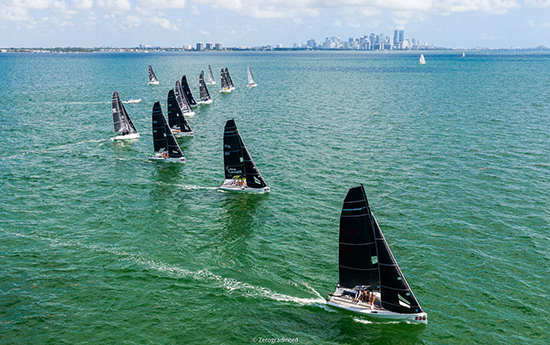 The Melges 20 World Championship Regatta is taking place in Coconut Grove this weekend, they are based at the Coconut Grove Sailing Club. 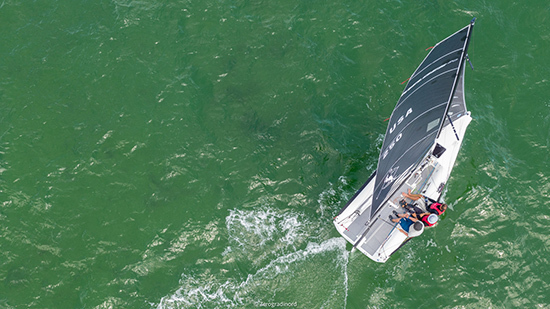 Three days of racing are complete, and each day has resulted in a different leader. 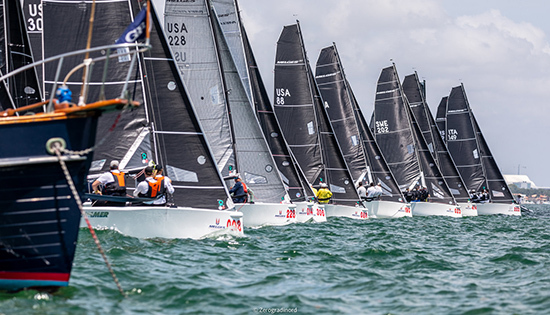 With two races left Sunday, who will take the Melges 20 World Championship crown? 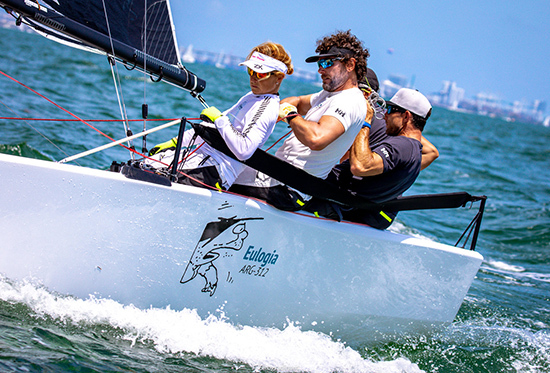 Saturday, Alessandro Rombelli and his STIG team of Francesco Bruni, Giorgio Tortarolo, and Tea Faoro lead the pack of Melges 20s from nine different nations. 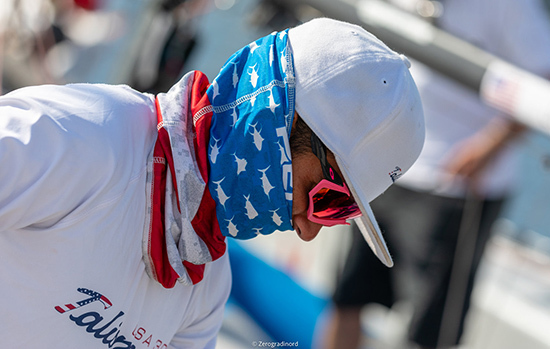 Fleet newcomer from Colorado, Sam Barron-Fox won the first race of the day – a great showing and a perfect warm welcome to the Melges 20 fleet for the BOO-FU team. 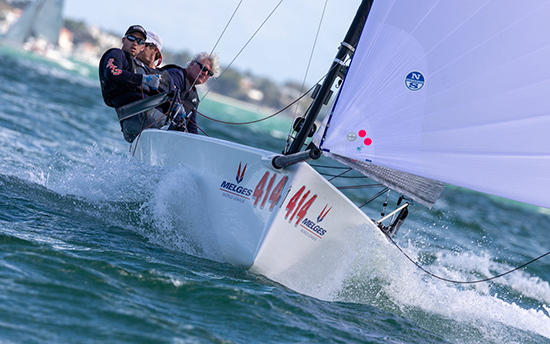 Monty’s Raw Bar was the location for the final celebration of the Melges 20 World Championship on Saturday night. Each day, teams battle it out on the race course then come together afterward over food and drinks. 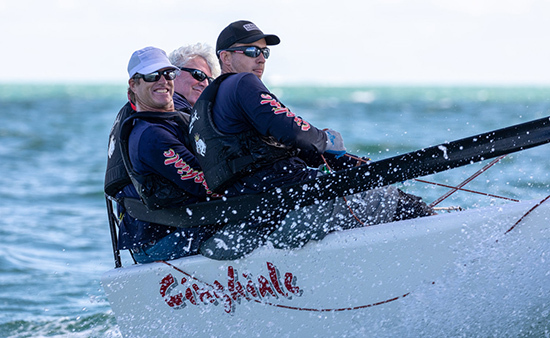 The camaraderie and longterm friendship among sailors are a significant part of what makes the Melges 20 Class so special. 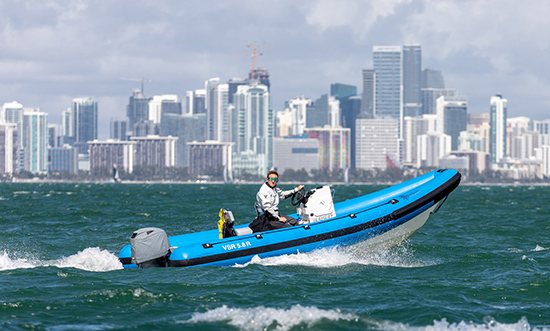 Ten points separate the top four teams of STIG, KUAI, RUSSIAN BOGATYRS, and HEARTBREAKER; the stage is set for a great showdown on Biscayne Bay Sunday.